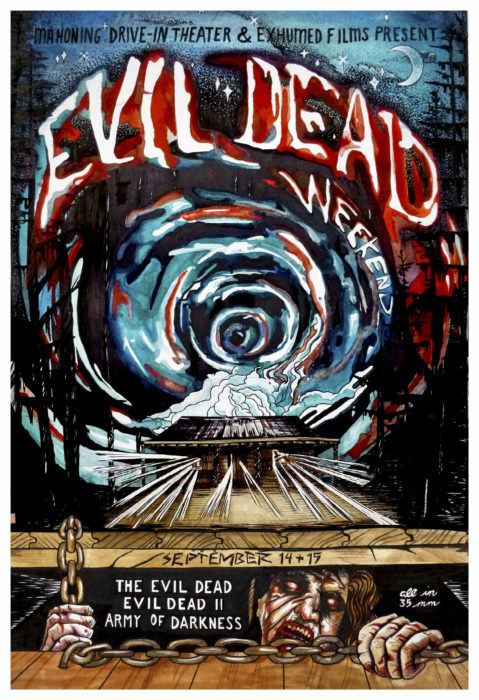 My buddies at Mahoning Drive-In Theater hooked me up this year, and I got to design the poster for EVIL DEAD WEEKEND! Watercolor and mixed media. I’ll be up in Lehighton all weekend again for the event, and this year I’ll be bringing limited edition t-shirts and tanks, as well as prints and handmade lapel pins!